These flowers were nature’s gift to me thoughout the month of May … the peony and the iris have special meaning to me personally. I made another Google search and found on wikipedia.org that in floriography, peony means “Shame, bashfulness; Prosperity, honor (in China); and Masculinity, bravery (in Japan). 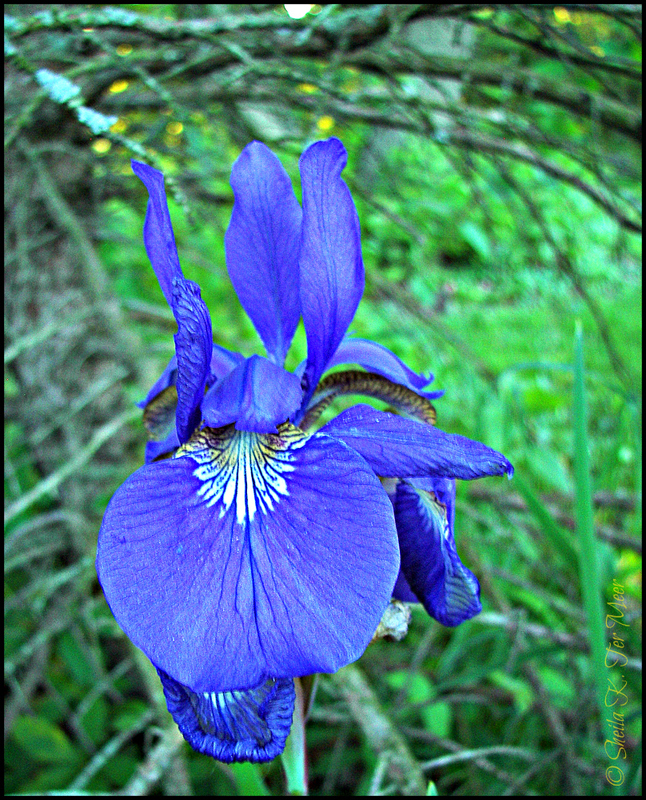 And this is an iris, planted years ago by my mom. 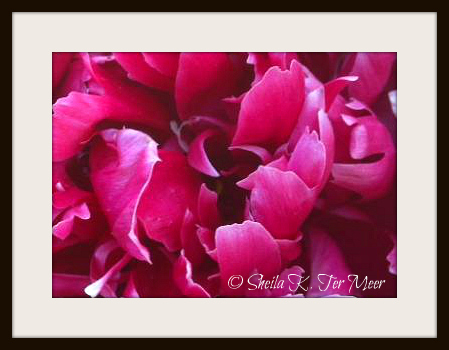 A large bouquet of these long-stemmed beauties would send a powerful message! 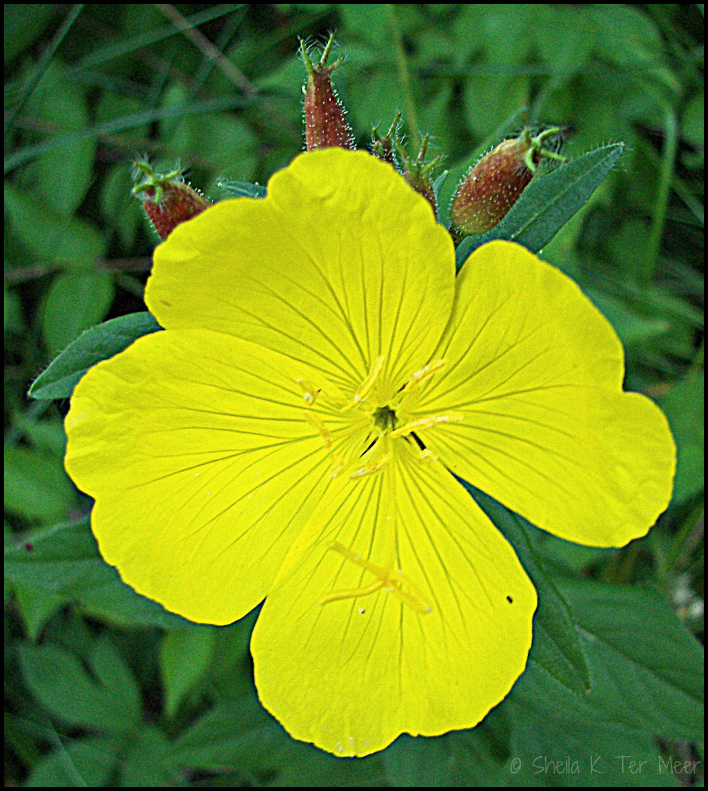 Update: Blogger Deb Platt at TrekOhio.com also knows her wildflowers. 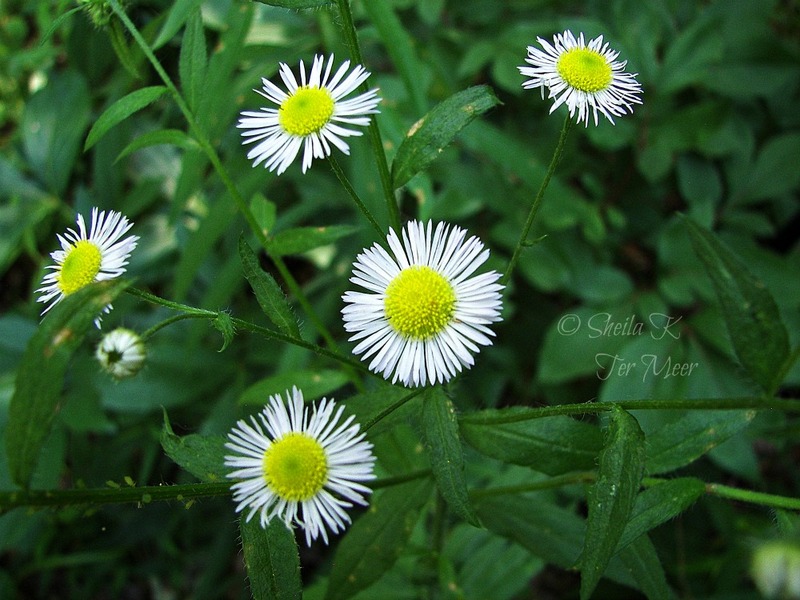 This is daisy fleabane. 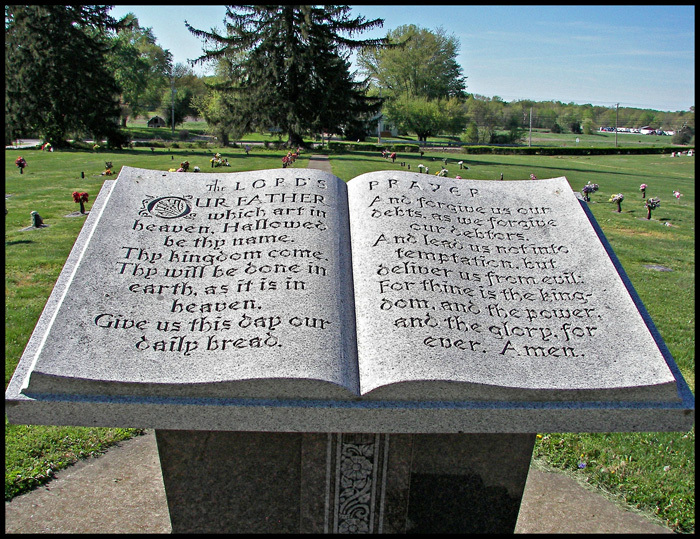 Today is the traditional Memorial Day, first observed in 1868. The first Indianapolis 500 took place on May 30, 1911. And my dad took his first breath on May 30 in 1932. In 1968, when Congress passed the Uniform Monday Holiday Act moving the national Memorial Day observance to the last Monday in May, the long holiday weekend and “The Greatest Spectacle in Racing” played host to our most celebrated family tradition! Grandma’s fried chicken, croquet, and double the cake and ice cream because my dad’s brother was born on May 31st. I took this photo after Mom and I decorated Dad’s grave in Croy’s Creek Cemetery that overlooks the Putnam/Clay county line road. 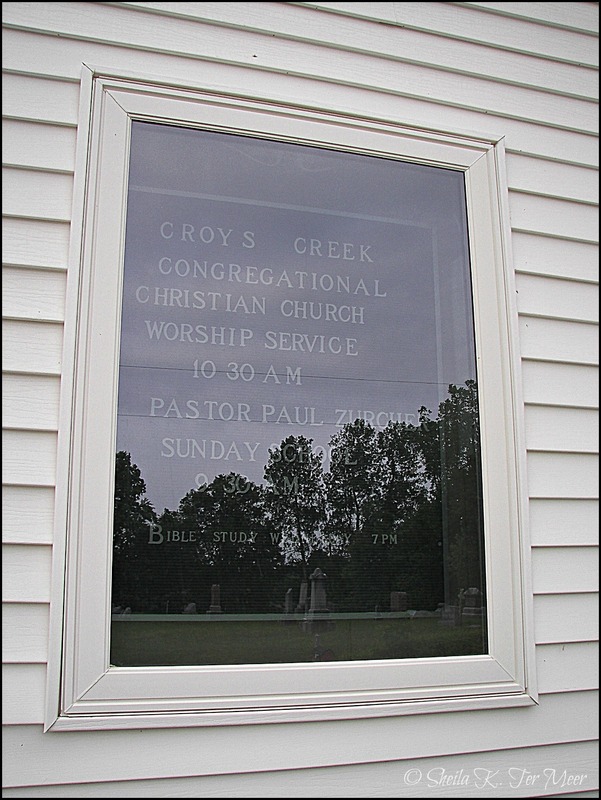 My dad’s mom was a member of Croy’s Creek Church and many of my ancestors are buried in the church’s cemetery. Mom and I also visited Clearview Cemetery to honor my stepdad, a World War II Navy veteran. 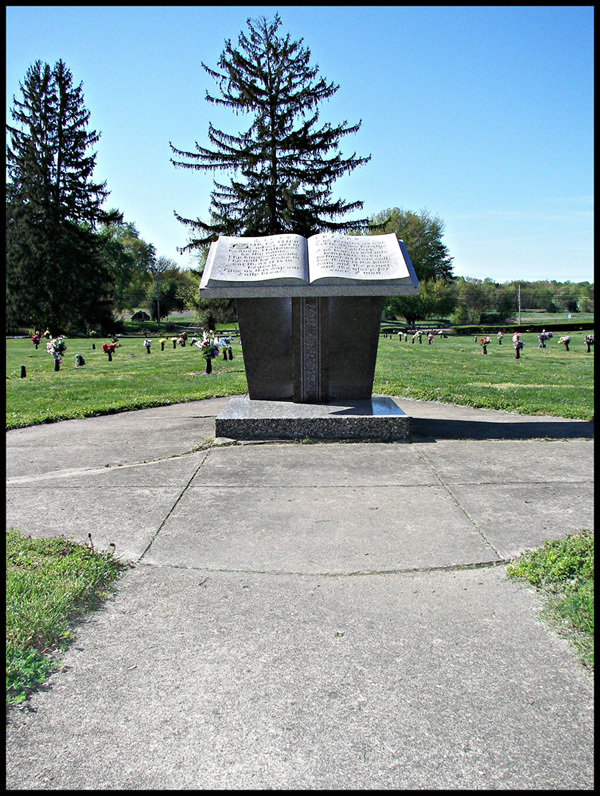 This sculpture is about the height of a lectern and overlooks State Road 340 (a former alignment of U.S. Highway 40 – “The Road that Built a Nation” – now designated the Historic National Road) just west of Brazil in Clay County.